This entry was posted in Endothelial Cells, Nitric Oxide, ProArgi-9 Plus, Video Library and tagged Best Time, Biological Functions, Cardiovascular Health, Cardiovascular System, Endothelial Cells, Family And Friends, Health Care Provider, L Arginine, Medications, Molecule, Nitric Oxide, Period Of Time, ProArgi-9 Plus, ProArgi-9 Plus Instructions, Remarkable Product, Time Of Day by Dan Hammer. Bookmark the permalink. Thanks for the info. My main question is this: I’m a 52 year old male in excellent physical condition. My blood pressure this time last year was running around 115/75. I started taking it recently and it’s skyrocketed to the 150/95 range. How much of this product do you think I need to take and how soon should I expect to see results? Hi Scott! Thank you for your email. Sorry to see that you’ve seen an increase in blood pressure. Improving the health of your endothelial cells to enhance their ability to properly produce nitric oxide should be a benefit to you in lowering your blood pressure. If you choose to use the ProArgi-9 Plus product I would suggest 1 and 1/2 scoops taken in 8 ounces of pure water outside of food. Meaning 60 minutes on either side of food. I’ve found from personal experience and working with others that 1 1/2 scoops is significantly better than 1 scoop but there is not much difference compared to 2 scoops. You mentioned that you are in excellent physical condition. I don’t know if this means that you work out. If you do I just started a series of posts on how taking care of your endothelial cells and improving their ability to product nitric oxide can also make a substantial improvement in your workouts. The articles are entitled Strength Training and there will be a total of 3 posts. Thanks for the quick response Dan. I’ve worked out for the better part of 25 years with cardio making up a big portion of the time I spend at the gym. I will check out your other articles as well. I did order the product and plan of taking it today when I get home. Assuming that I take the 1.5 scoops of the product, how soon do you think I’d see any results? Thanks again Dan. proargi-9 plus instructions is a very interesting subject to learn about! Thanks for the comments. I’m glad you like this blog. We try to post valuable information so that people can make informed decisions especially in the area of endothelial cell heath and function. 1 scoop for days 4, 5, and 6 – This is considered to be the therapeutic level with enough L-arginine and L-citrulline to help nourish the endothelium for improved nitric oxide production. 1 1/2 scoops on day 7 – I’ve found from experience that this is much more effective than 1 scoop yet still cost effective. For people who have significant health issues and want to be a bit more aggressive than they can take 1 1/2 scoops twice per day. Yet if they are going to do this than they should work closely with their doctor so that appropriate adjustments in their medication can be make as they see results. Once a person achieves the health levels they are looking for then they can back down to the level that helps them maintain their health levels. This is usually 1 or 1 1/2 scoops. Dan I am a 61yr. old female with diabetes for 10 years. I am begining to show kidney issues, like a ver small amts p protein in my laab test. I AM very scared,and would like help now. my pressure has not been that great for at least 6months(at least daily 160/88) could Argi9 plus help? Thank you for the question about ProArgi-9 Plus and helping you with your kidney issues. First off I’m not a physician so I’ll only share with you my experience with others and how ProArgi-9 Plus has benefited them. 1. Keep blood platelet cells from sticking together to prevent strokes and heart attacks. 2. Relaxes the smooth muscle of the vascular wall to help regulate your blood pressure and keep it in the normal range. 3. Repair damage to the endothelium to keep your vascular wall flexible. When your endothelium is healthy and properly producing nitric oxide you improve circulation. When you improve circulation you improve the function of your organs. One of the outcomes of the 2009 High Desert Heart Institute Study using ProArgi-9 Plus was improve renal function of the patients who were part of this study. 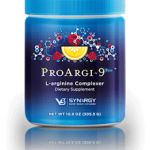 This has also been noted by many who have used ProArgi-9 Plus. They have been able to see improve kidney function and the ability to reduce or eliminate the need for dialysis. While I can’t promise that this will be your outcome it is encouraging to know that others have seen improved renal and kidney function. You indicated in your inquiry that you have diabetes and high blood pressure. Here are two links to recorded webinars that directly address these two issues and how ProAgri-9 Plus could be a benefit in helping.